I create lathe-turned items using both exotic hardwoods and locally grown woods such as olive, walnut, redwood, oak, fruitwood, and myrtle. 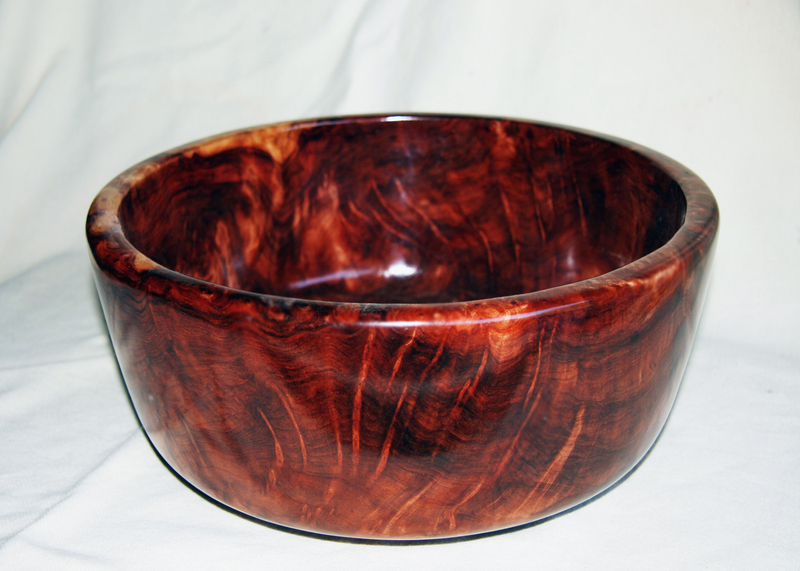 My goal as a woodturner is to discover the inner beauty that can be found in a piece of wood and bring it out into full exposure. The lathe-turned pieces that I create are intended to engage and delight the eye while retaining the fundamental nature of the wood. 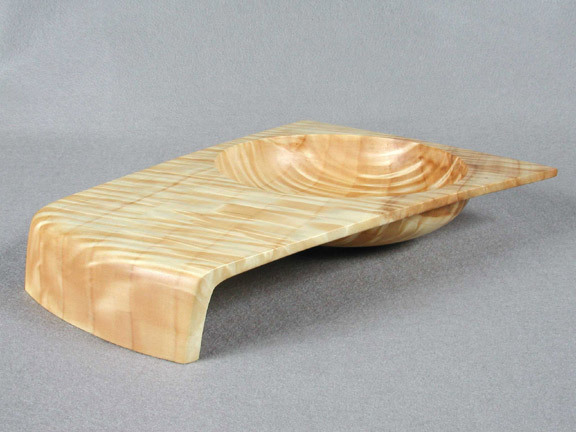 All of my pieces are intended for display and many also are created for functional use – to hold items. Thus I create bowls, boxes, plates, and vases. Recently, I have begun creating twisted hollow vessels that exist for a display of form. Much of my work is created from locally found logs of wood, mostly trees from the Central and Northern Coast of California. I take great pleasure in transforming them into beautiful and useful items. 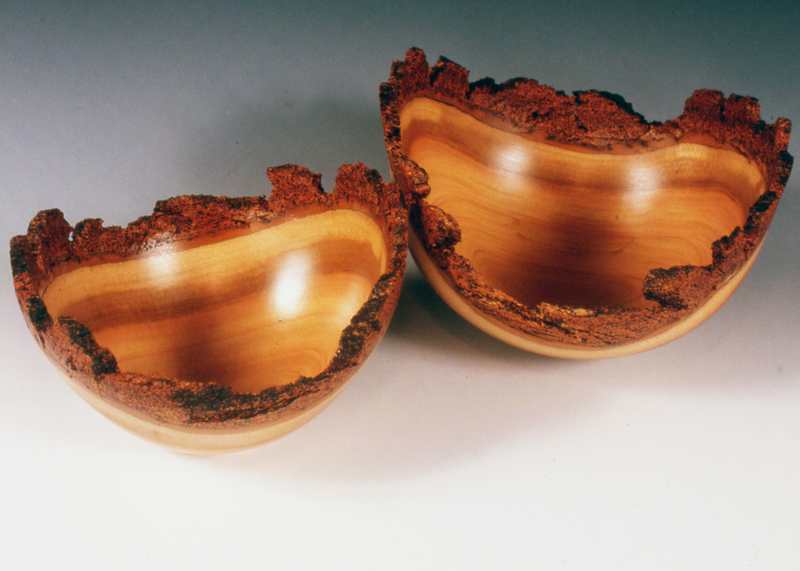 The two bowl set shown below are redwood burl and buckeye burl —each was made from a single block of wood from which I cored the individual bowls . Mike is interested in creating traditional as well as art pieces as shown below. The top left two pieces are hollow twists approximately 7 inches high. 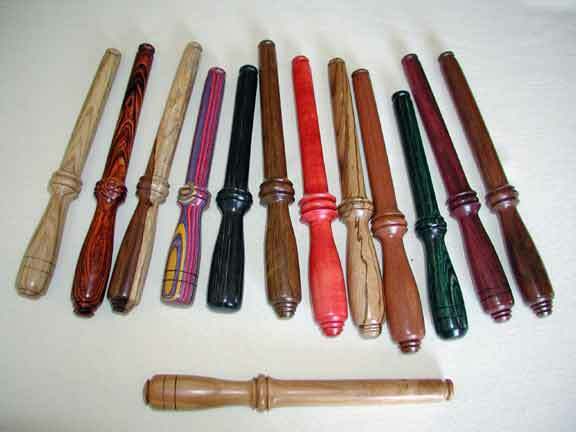 The rightmost is made of olivewood and desert ironwood. While the other is African Blackwood and black lacquered maple. 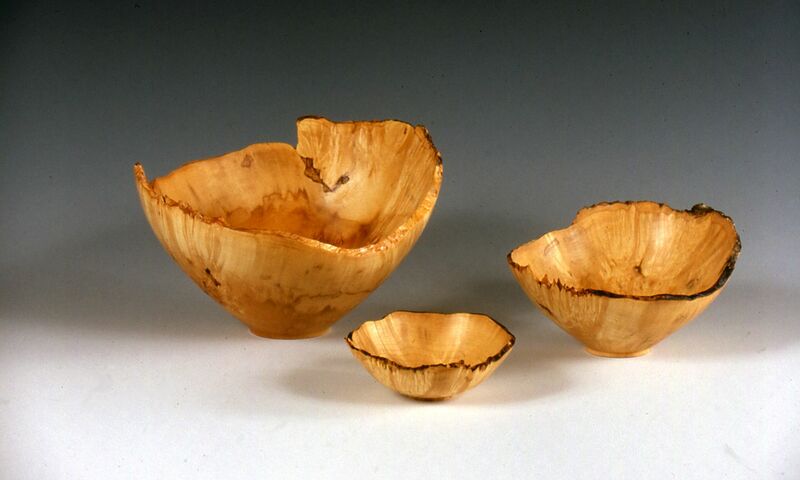 The piece on the right is made from very highly figured elm. 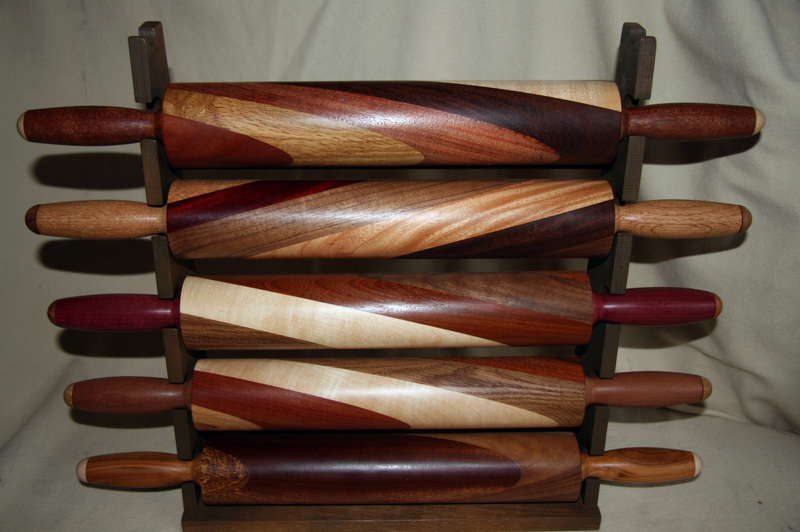 The middle left piece is a highly figured Myrtle bowl that is 3 inches high and 7 iches in diameter, while the right shows a collection of multi-wood laminated American-style rolling pins. 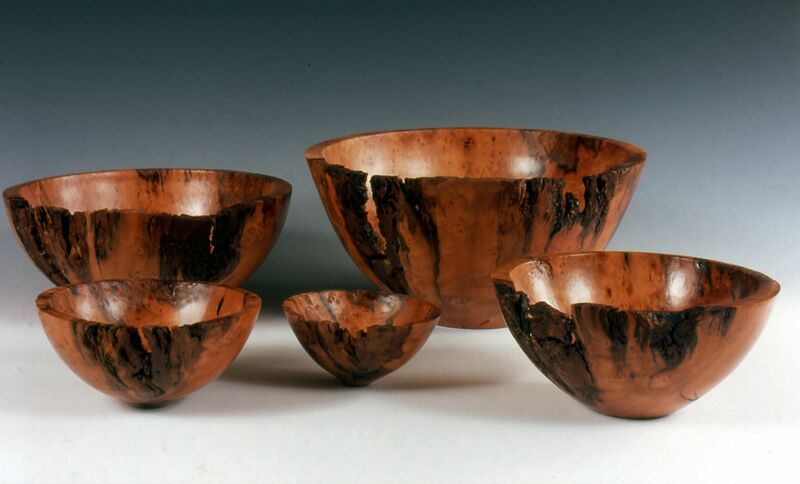 The next row is a pair of Red Iron-Bark Eucalyptus naturl edge bowls and a figured Redwood Burl bowl. 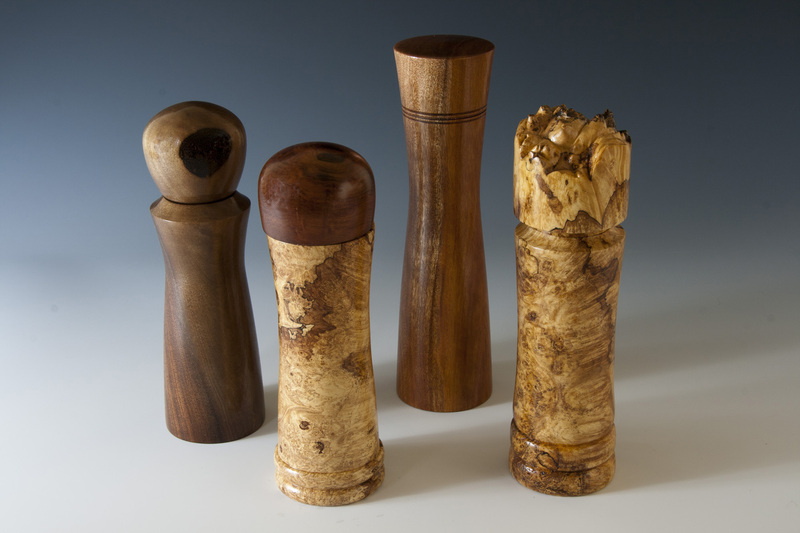 The lower picture shows four pepper mills made from walnut, maple burl, and Koa. 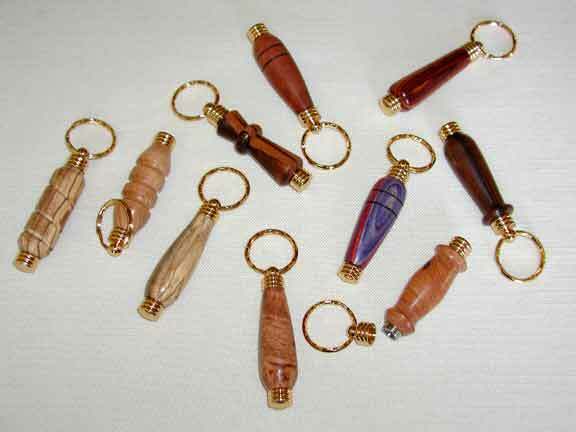 Mike also makes a number of different textile tools, including the needle cases and nostepinnes shown below. For more information or purchases, please email Mike. 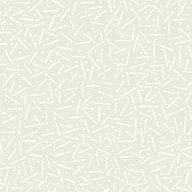 Notice: All images on this site are protected by copyright law and no image may be reproduced in whole or in part without the express written permission of Three Springs Handworks or the individual artist.